The SOL-P2401-19 is a fully metal designed panel with performance up to Category 6. 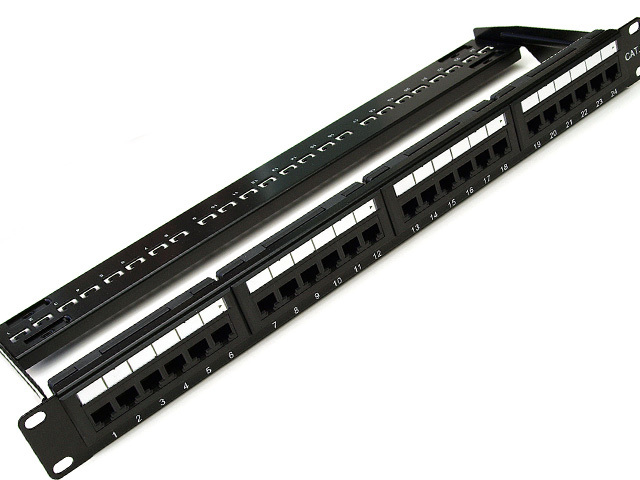 With a black, semigloss finish the Patch Panel comes with high quality standard IDC terminations to allow a high amount of reterminations using multiple size AWG data cables. Fully TIA-ETA-568A/B compatible and ideal for both Voice and Data applications up to 100BaseT (Gigabit Ethernet), quality is further proven with the addition of Gold over Nickel plated jack contacts and fully enclosed connection PCBs to further reduce interference and increase over Signal quality margins to help get the most of your future network requirements.